Clipshead Farm Cottage is a contemporary idylic barn conversion located in the historic village of Brassington in the Derbyshire Peak District. Clipshead Farm cottage sleeps up to 4 guests and is finished to a high Standard, to make your stay as comfortable and enjoyable as possible. There is a spacious very well equiped dining kitchen containing an electric cooker, fridge freezer, dishwasher, washer/dryer and microwave. 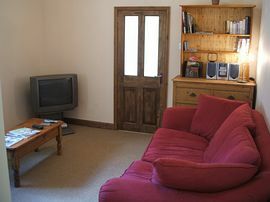 The comfortable lounge has TV, DVD player and CD/Radio/tape player. 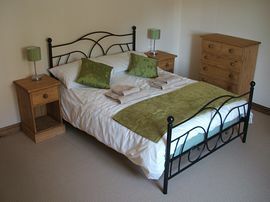 The bedrooms - 1 double and a twin room both have solid pine furniture and included in the price is the bedlinen. The bathroom has a hand basin, toilet and a power shower over the bath. Outside the cottage there is a lovely flag stone patio with access through the kitchen door, with patio table and chairs and a BBQ. There is a fenced lawned area and the cottage has outdoor sensor lighting. 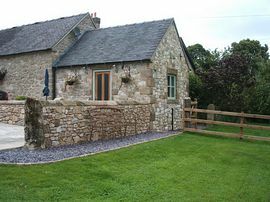 The cottage is set within the idylic 32 arce grounds of Clipshead Farm where you will find a super trout pond and guests are very welcome to use this facility (a super spot for a picnic). During late summer early autumn our damson trees are usually laidened with fruit and guest are very welcome to help themselves with prior arrangements. 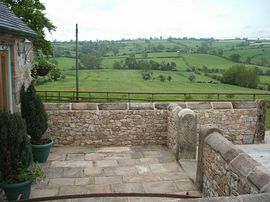 The sweeping views across the countryside from the cottage are outstanding. There is ample parking and arrangements can be made for bike storage. The cottage is ideally situated for lots of activities including walking, hiking, fishing, cycling and horse riding and is only a 10 minute drive from Carsington Water with its great sailing club and watersports activity centre. There are two village pubs both serving real ales and food and a 10 minute drive gets you to the award winning Knockerdown Family Pub and Restaurant. You will find shops, supermarkets and more restaurants in the local markets towns of Wirksworth and Ashbourne. Sweeping views from the cottage are outstanding. A peaceful setting for a relaxing holiday. Bedlinen, towels, flannels, tea towels and tablecloth. Patio table and chairs, parasol, BBQ, bike storage and sun loungers. 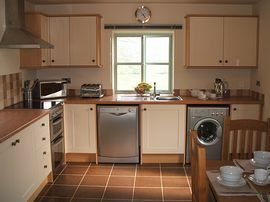 Short breaks avaialable all year round from £165.00 for 3 nights. 7 nights from £230.00 including fuel, bed linen and towels.